Featuring the works of nine mixed-media artists. 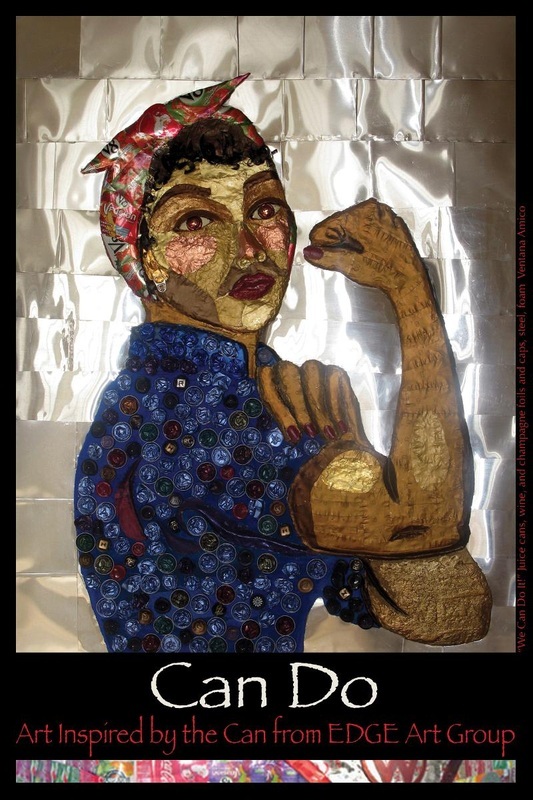 They come together as the EDGE Art Group to find the uncommon in common materials - converting discarded soda cans, foils, and caps into iconic art forms. In this inventive exhibit, nine area artists literally make artwork from cans, or reference "can" in some way, while drawing attention to issues of waste and recycling. The group of artists, called "EDGE" share an interest in the unexpected: often their work evokes connections with familiar objects or methods of fabrication, surprising the viewer with a visual pun, or the fact that it is actually made from something other than what it seems. 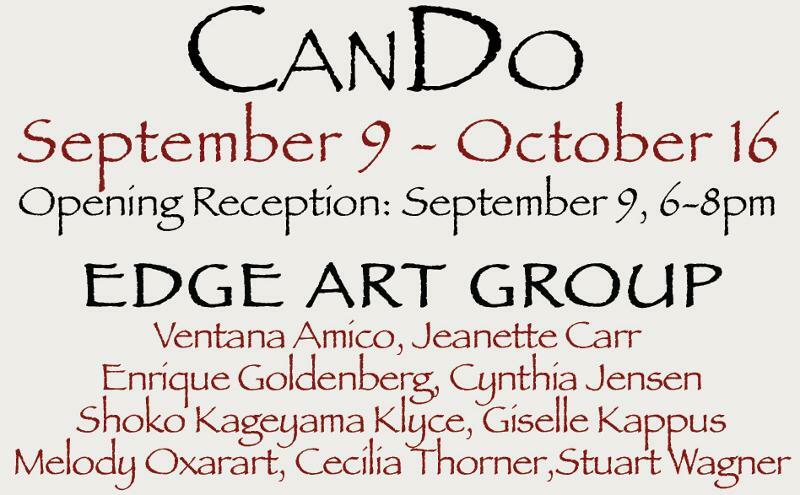 In the CanDo Art Exhibition, this group ruminates on the multiple meanings of the word "can," and slogans such as "Yes we Can" and "In the Can."